Spitsbergen is the largest island of the Svalbard archipelago which is situated between the Greenland and Barents Seas, approximately 600 miles from the North Pole. In the 16th century the islands were visited by Barents' expedition and in the ensuing centuries were used primarily as a base for hunting whales, polar bears, seals and walruses. In the 18th century the first scientific and research expeditions came to the island from many countries. Following the Svalbard Treaty in 1920, Poland took part in this research and has since developed a strong tradition in the science of many aspects of the island's geology, flora, fauna and environment. The author describes her experiences during three polar expeditions to the High Arctic, and conveys to the reader the essence of this fragile environment, the atmosphere of this special place in the North, the landscape, nature and day-to-day life of people working on Spitsbergen - their joys and sorrows, and the complex relationships that can develop between people working under harsh conditions in remote arctic areas for months. For those who have already travelled to the Arctic, this book will be a welcome reminder of their own experiences and adventures, while for others it will open a window on the complex nature of the Arctic environment and the joys and hardships connected with any polar expedition, all within the backdrop of the susceptibility of these areas to environmental change. 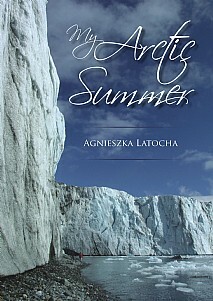 This will be a must for everyone interested in the Arctic, landscape, nature and travel books.